Johnny Mathis is an iconic American singer of love ballads. Regarded as the voice of romance, Mathis is best known for hit songs such as Chances Are, It’s Not for Me to Say, Misty, Twelfth of Never, Wonderful! Wonderful!,Too Much, Too Little, Too Late, and Misty. In a career spanning six decades, he has recorded close to 80 albums and has received numerous awards including a Grammy lifetime achievement award. Find out more about the legendary musician here including his ethnicity, sexuality, net worth, bio etc. John Royce Mathis was born on the 30th of September 1935 in Gilmer Texas. He was the middle child of seven children born to Clem Mathis and Mildred Boyd. Even though he was born in Texas, Mathis grew up in San Francisco following his family’s relocation to that area. Johnny Mathis’ aptitude for singing was discovered by his father who took steps to nurture his son’s talent. He not only bought him a piano but also arraigned music lessons with a classical voice teacher. The teacher, Connie Cox, taught Mathis everything from voice scales to operatic singing. Mathis further honed his talent by performing for visitors at home as well as at school and church functions. Asides from his musical talent, Johnny Mathis was also a gifted athlete. He attended the George Washington High School where he was so outstanding in the high jump that he not only secured an athletic scholarship to San Francisco State College but was invited to try out for the US Olympics team. Mathis declined the invitation, choosing to focus on his music and college. While attending college, Johnny Mathis continued performing at various local jazz clubs. In September 1955, his obvious talent caught the attention of a club owner, Helen Noga. She became his manager and secured him an audition with a Columbia Records executive. The audition was a success and Columbia Records immediately signed him. Mathis got to work and released his debut album Johnny Mathis: A New Sound In Popular Song, in 1956. He followed it up with a string of hit songs, Chances Are and It’s Not for Me to Say, in 1957. In the course of his career, the singer has released 73 studio albums, 18 of which were certified gold and six platinum. He achieved 50 Hits on Billboard’s Adult Contemporary Chart and his 1958 album, “Johnny’s Greatest Hits” spent almost a decade on Billboard’s chart. The album spent an unprecedented 490 consecutive weeks (from 1958 to 1967) on the Billboard top 200 album charts. Mathis also recorded some memorable duets with heavyweights such as Dionne Warwick, Natalie Cole, Gladys Knight, Stephanie Lawrence, and Nana Mouskouri. His most popular collaboration is the 1978 single, Too Much, Too Little, Too Late, with soul singer Deniece Williams. Johnny Mathis has received several awards and recognition in the course of his career. They include a Grammy lifetime achievement award in 2003 and an honorary Ph.D. from his alma mater, San Francisco State College, in 2017. He was inducted into the Great American Songbook Hall Of Fame in 2014 while three of his songs have been inducted into the Grammy Hall Of Fame. 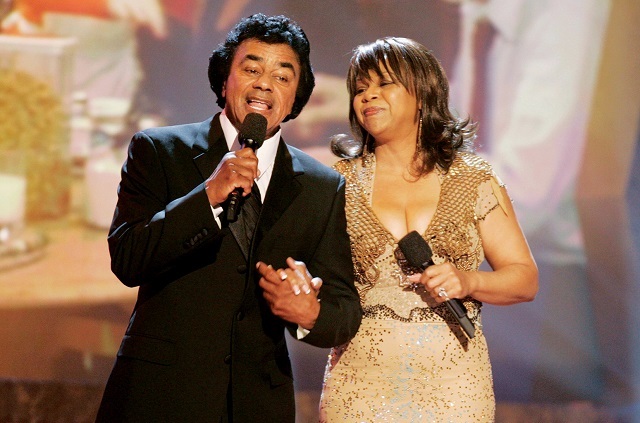 Johnny Mathis’ net worth is estimated to be a whopping $400 million. He made the vast majority of his fortune from his lucrative career. He has sold over 360 million albums, making him the third best selling artist of the 20th century. Mathis is also a shrewd investor and owns a chain of businesses. They include Jon Mat Records Inc. and Rojon Productions Inc. These two companies are responsible for recording and producing his music as well as taking care of TV and concert appearances. Is He Gay or Married – Who is His partner? Johnny Mathis is gay. He revealed in a 1982 interview with Us Weekly that homosexuality is a way of life that he has become accustomed to. He received death threats as a result of that comment and as such was forced to keep that aspect of his life private. However, with the changing times, Mathis can now proudly admit that he is gay. According to him, his parents and close friends knew that he was gay from an early age and he kept it under wraps in order to protect his career. The angel-voiced crooner has been romantically linked with some of his contemporaries, both male and female. The list includes singers, Regina Bell, and Estelle Bennett as well as George Avakian (the Columbia Records Exec who signed him) and Mitch Miller (the Columbia Records producer who produced some of his biggest hit songs). However, he has never confirmed nor denied this. He prefers to keep his private life private, a virtue he learned from his dad. At present, Johnny Mathis has no partner that we know of. Additionally, he has never been married neither does he have any kids. He says he does not regret this as he has many nephews and nieces to care for, thanks to his siblings. Johnny Mathis is African-American. However, his music was largely favored by white people who constituted the majority of his audiences. In his career, he has been an advocate for civil and gay rights, albeit not as vociferously as some of his peers. He firmly believes that all human beings are absolutely the same, be they white, black, gay or straight.